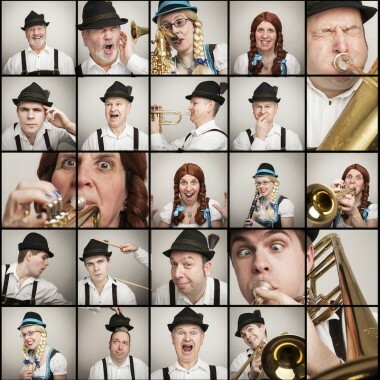 A Bavarian style “Oompah” show band for hire. Die Dorf Fest Kapelle, Bavarian styled Oompah band for hire. Ideal for Octoberfest events, Bierkellers & Austrian or German themed parties. A Bavarian style “Oompah” show band. 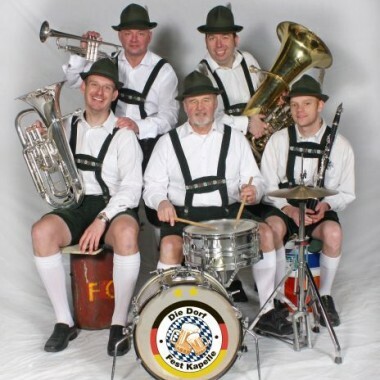 The band can also provide that extra “Oompah” to your Octoberfest event or Bavarian night with non-stop participation for the partygoers guided by our front man. This Bavarian styled band performs the traditional music as heard in the various festivals in Germany and can play all the music for dancing, swaying, clapping, singing and of course…..drinking! If required, the night can also include light-hearted games and competitions for your guests and clients with prizes to be won. 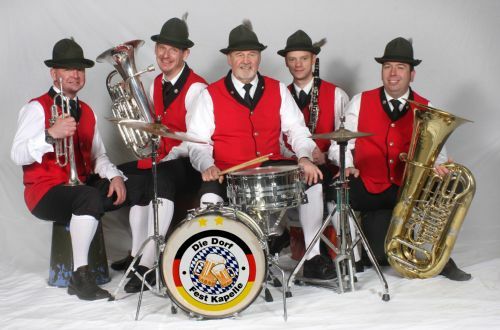 So if you’re looking for a traditional styled Bavarian Oompah band for hire for your event then look no further than Die Dorf Fest Kapelle. The band can perform with a yodeller and an Alpine horn (also known as an Alphorn or Alpenhorn) on special request.